I have now self-published this poem as a beautifully illustrated children’s book. You can purchase a copy at Lulu.com. Thursdays are fast becoming one of my favourite days, not least because it means I get an opportunity to link up with VicWelton’s #Prose4T. I have always enjoyed writing poetry, but have not done so for many years. Recently I have found I can express so much in poetry, and often find it easier to write a poem than a blog post! Today I am going to share something with you that I wrote a while ago and have tweaked many, many times! Finally I think it’s finished! It’s based on a poem I wrote when I first started blogging, and is a book aimed at children whose mums suffer from depression. 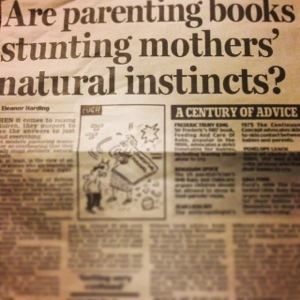 I have often noticed in libraries and shops that there are a range of books written to help children cope with different situations; bereavement, the death of a pet, moving house, new babies and even potty training, but there was nothing which focused on depression or post natal depression. Ultimately I would love this poem to be published and money from it raised to help those with PND, but I know that could forever remain a dream, it is not easy to get published! I have read the book to my eldest two children and the reaction was instantaneous, my four year old now often asks for the monster story before bed, and my 11 year old understands a bit more about how I was feeling, it’s prompted some lovely, honest chats. Would someone know just what to do? Feeling trapped and like a mess. “I’ll go and find it,” said the monster boy. ‘Did he eat my mum?’ thought this monster boy. “Excuse me, but have you eaten my mum? And wondered if he’d had a feast. It wasn’t him who made her snappy. Was he the one who had eaten his mum? He wanted to help her out of this spell. “Could you help me and my mum please? Love and kisses and cuddles send. He would be patient, see this through. Hoped no more monsters would eat his mum.